Born and raised in Berrien Center, Michigan, Dr. Patrick graduated from Berrien Springs High School in 2001. Dr. Patrick went on to attend Eastern Michigan University for a Bachelor of Science Degree before attending the National University of Health Sciences (NUHS) in Chicago, Illinois for a Doctorate in Chiropractic Medicine. While completing the Doctor of Chiropractic degree at NUHS, he also served a one year clinical internship with a special focus on integrative medicine. This integrative medicine focus means that Dr. Patrick is encouraged to work with other doctors and medical professionals in the community from differing specialties to focus on the highest standard of care for each patient. Dr. Patrick specializes in Diversified techniques, Flexion-Distraction Technique, Kinesiotaping, Instrument Assisted Soft Tissue, and Rehabilitative Exercises. Dr. Patrick is a proud member of the American Chiropractic Association (ACA) and the Michigan Association of Chiropractors (MAC). He is an avid runner and also enjoys reading and spending time with his family. Dr. Megan Hackett, DC graduated from Lakeshore High School in 2002. She then earned a Bachelor of Science degree in Equine Studies from Lake Erie College and went on to attend the National University of Health Sciences (NUHS) in Chicago, Illinois where she earned her Doctorate in Chiropractic Medicine. While completing the Doctor of Chiropractic degree at NUHS, Dr. Megan also served a one-year clinical internship with a special focus on integrative medicine. At NUHS she was given the opportunity to experience a diverse mixture of medical specialties such as chiropractic medicine, naturopathic medicine, oriental medicine, and acupuncture. The university provides a unique curriculum and clinical program emphasizing integrative medicine, which encourages medical professionals from differing specialties to work together and combine their expertise for a higher standard of patient care. Dr. Megan is a member of the American Chiropractic Association and has a special focus in Nutrition including Botanical Medicine and Nutraceutical Therapies. In her free time she enjoys doing yoga, running, and riding her horses. Suzanne, our Office Manager, has worked in the medical field for over 20 years. She has a liberal arts degree from Hillsdale College. Suzanne enjoys being active with her family, watching her daughter compete in gymnastics and her son play tennis for Lakeshore High School. In her quiet time, she likes to read, go for walks and do yoga. 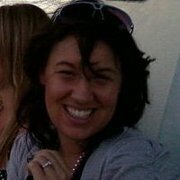 Amanda, one of our full time massage therapists, graduated from River Valley High School in 2002. An interest in alternative therapies led her to enroll in the Kalamazoo Center for the Healing Arts’ school for massage and bodywork. Their emphasis on intuition and Eastern influence provided the foundation for her whole body approach to healing. 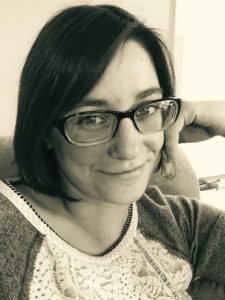 In 2005, Amanda began working as a Certified Massage Therapist in Kalamazoo and continued to further her work experience and commitment to bodywork while living in Pittsburgh and Chicago. Through her membership with Associated Bodywork and Massage Professionals, she remains dedicated to providing a professional and positive experience for each client. She returned to the area with her husband in 2010, and welcomed a baby boy in 2013. 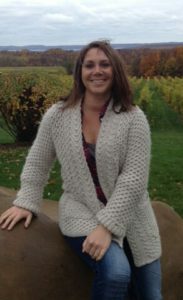 Nicole, one of our full time massage therapists, is a native to Stevensville, MI and a proud Lakeshore Lancer. She has 3 children that she raised here. She has been a successful licensed massage therapist for 6 years, graduating in 2011 from the Everest Institute in Kalamazoo MI. Her earliest memories were of wanting to help people. Her passion for body work is intuitive and driven by a desire to promote relief, relaxation, balance and overall well-being. 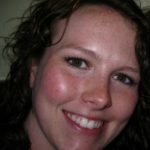 Nicole is trained in a variety of techniques ranging from Swedish, deep tissue, myofascial release and prenatal massage. She feels it is important to tailor each session to accommodate our patients to their exact needs. She has also practiced Reiki energy healing for over 4 years. Using the shared wisdom of noted practitioners and teachers, combined with her own advanced and continuing education in massage therapies and energy work, Norleen LeClear provides an intuitive range of massage techniques for all levels from gentle to intelligent deep-tissue covering the full span of enhanced body mechanics. 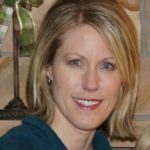 Norleen is a 2003 graduate of the Kalamazoo Center for the Healing Arts; she is a state-licensed massage therapist with more than 17 years of experience. 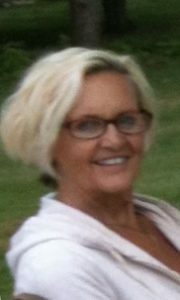 Norleen holds certifications and has completed course work in craniosacral therapy, sound healing, Reiki, Subtle Communication Systems and neuro-linguistic programing; in addition, Norleen is trained in healing touch, and guided imagery for surgical support. She has been a member of Associated Bodywork & Massage Professionals since 2001. Her Philosophy: Our bodies believe what we think, say and do. We can make a positive difference in ourown lives by refining the way we think. When we change the way we think, our better lives will follow. 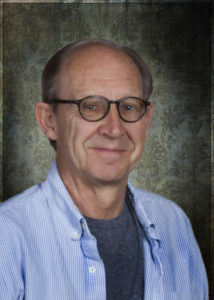 Larry, graduated from The Kalamazoo Center for the Healing arts twenty five years ago and continued working there as a therapist and teachers assistant. He moved here to St. Joseph and set up a private practice with his wife Janis Smith, who is also a massage therapist, and has been here ever since. With a background in martial arts, yoga, and Eastern philosophy, Larry tries to bring an integrated approach to medical massage. And in those moments when he has a little spare time he likes to photograph, paint and write. Teylor, one of our Chiropractic Assistants, grew up in the area and graduated from Lakeshore High School in 2013, and attended Lake Michigan College, where she got her Associates of Science Degree. She’s always had a passion for the medical field, and enjoys learning new ways to help patients. In her free time, she loves working on the farm with horses, reading, and spending time with her husband and family. Hannah, one of our Chiropractic Assistants, graduated from Lakeshore High School in 2017. During her time in high school, she was involved in both choir and theater. 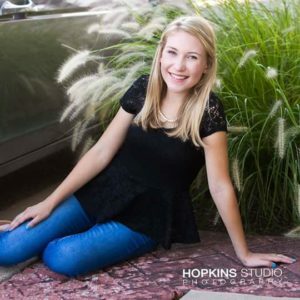 Hannah has always had a passion for the medical field, but is still undecided in what career she would like to go into. When not at work, she spends her time with her animals, singing, or reading. Sarah, our afternoon front desk receptionist/, was born and raised in the area and graduated from Lakeshore High School. She has been involved with the medical field since 2007. She has 4 years experience managing administrative tasks for customers. She lives in Stevensville with her husband and their dog Jasper. 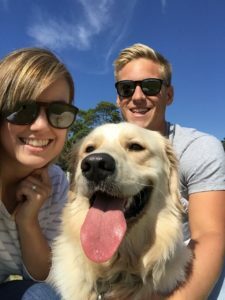 During her free time, she enjoys walking her dog and spending time with family and friends. Amy, our front desk receptionist, graduated from Lakeshore High School in 2007. She has had fun trying out a variety of different jobs including farming, retail and cooking at our own Tosi’s Restaurant. 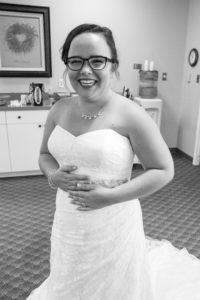 She graduated from the Kalamazoo Center for the Healing Arts in 2009 and is thrilled to be getting back into a path of healing. In her spare time, Amy loves to just be outside; hiking, boating, and building campfires are some of her favorites! She also participates in an occasional karaoke night where she loves to sing Bennie and the Jets by Elton John.